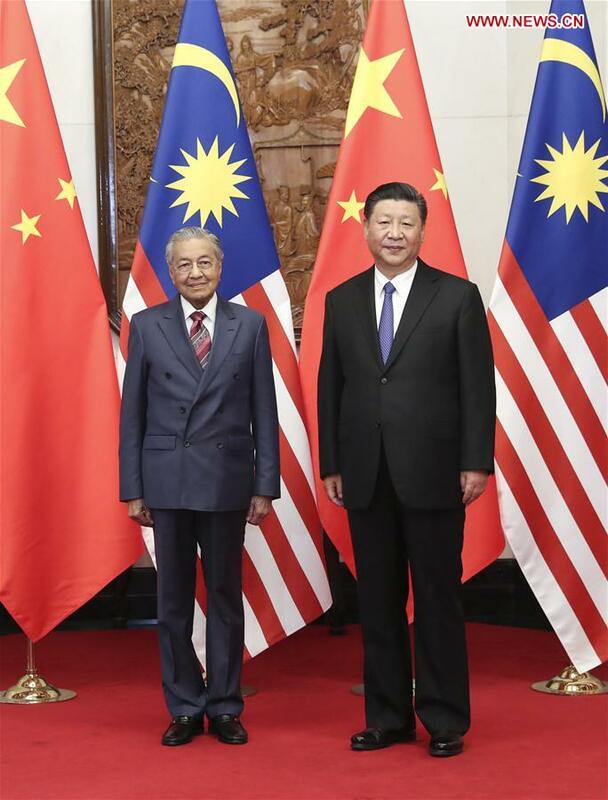 BEIJING, Aug. 20 (Xinhua) -- Chinese President Xi Jinping met with Malaysian Prime Minister Mahathir Mohamad in Beijing on Monday. Malaysia was the first country from the Association of Southeast Asian Nations (ASEAN) to establish diplomatic relations with China since the regional organization was founded. Mahathir is paying an official visit to China from Aug. 17 to 21.